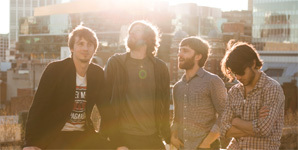 Husky's new single, The Woods, is taken from their debut album, Forever So, which will be released on May 12th, 2012. Husky are currently touring Europe but will perform at the Sub Pop Showcase at SXSW on March 16th, 2012. They will tour Australia in April and are expected to tour the UK in May.